If you’re planning to take a long bus trip, you should be prepared to pack a few must-haves items beforehand. 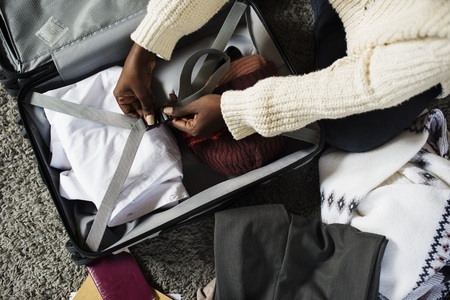 Understanding what essentials you need to pack prior to a long bus trip can help to make the trip go faster and smoother. This is sort of the unspoken rule of any long-haul: pack light. Take only the things you need with you and leave the rest at home. If it’s still heavy, try to find less heavy alternatives. This will make getting on and off the bus a breeze—especially if you must transfer. For example, buy travel size toiletries instead of bringing your full-sized shampoos on the bus. There’s no way around it: some passengers can be noisy. Whether it’s talking on their phone, playing music or videos, or getting up to use the bathroom, there is a plethora of sounds that could keep you up all night. We suggest bringing earplugs or headphones in order to block out noise. If the bus ride is a few hours, guess what? You’re going to get hungry. And oftentimes, the eateries are stops that can get costly. Bring some small snacks with you that will quell your appetite. Oh, and thirst: having water with you is always key. Any movie or TV series you’ve been dying to watch? Well, now’s your time to sit back, relax, and enjoy the show. Most buses have free WiFi, which means that your laptop or personal device can stream the entertainment with ease. If screens aren’t your thing, here’s your time to eat up a new book. Reading is one of the best ways to pass the time, and a bus is an ideal setting to get some pages down. With these supplies in tow, you’ll be ready for your next lengthy bus trip. Before you know it, you’ll be at your destination. Contact us at Las Vegas Bus Sales if you have any questions or concerns!